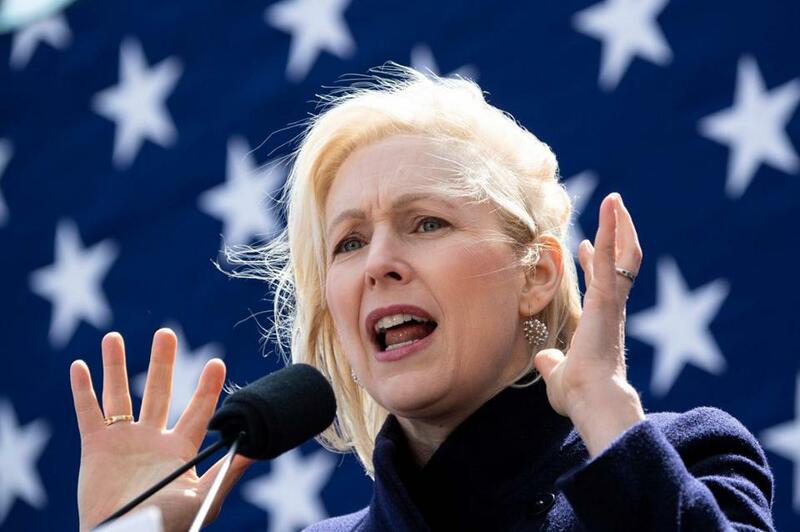 Democratic presidential candidate Kristen Gillibrand spoke in New York on Sunday. Gillibrand also urged the full release of special counsel Robert Mueller’s report in the Russia investigation, stressing that ‘‘nobody in this country, not even the president, is above the law, or immune from accountability.’’ Attorney General William Barr was expected to release a summary of principal conclusions as soon as Sunday, but Democrats want to see the full details. ‘‘That is brave,’’ she said.